Step 2: Order the recommended products listed under each learning gate. Are you looking for the missing piece to your child’s learning struggle? Let us help! For many years I have held private individual student consultations working with over 4,000 families from across the country. To meet the high demand for these personal consultations, I simplified the consultation process and began offering Personal Internet/Telephone Consultations for families. This method has proven to be very successful. I now train my Certified Learning Specialists to do both in person and distance consultations. Have you taken your child to other evaluators only to find that the therapy is so expensive? Have you been interested in learning how to unblock your child’s learning gates at home, but found it “too confusing” to know where to start? Are you interested in receiving a “complete plan” for remediation of your child’s processing or focusing issues? Is regular follow-up on your child’s progress important to you? Does your child have focus and attention issues, but you don’t want to use medication? A Personal Internet/Telephone Consultation may be an answer for you. Families do not have to wait more than a few weeks for an evaluation and recommendations for their child or teen. It saves families money for flights, hotels and meals. The fee for this consultation is affordable for all. Continued informal follow-up throughout a one year period for your child. What is covered in this Consultation? 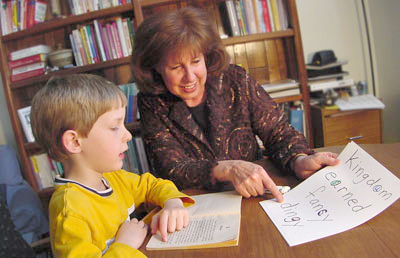 A Personal Consultation focuses on locating your child or teen’s learning blocks, and then showing the parent how to correct the processing glitches using specific Brain Integration exercises and Brain Trainings plus specific Right Brain Teaching Strategies to easily develop the child/teen’s photographic memory for speedy learning in spelling, phonics, reading comprehension, math facts and processes, and memory skills. In this consultation you will also receive a targeted nutritional supplements to help the child or teen remained focused on the task at hand. Specific, targeted supplement therapy, along with the Brain Integration Therapy program and Right Brain Teaching Strategies have proven to be extremely helpful for the child or teen with Sensory Processing Problems, Anxiety, Dyslexia, Auditory Processing Problems, ADD, ADHD, Delayed Speech (very gratifying results here, too), Dyspraxia, Non-Verbal Disability, Cognitive Delays, Asperger’s Syndrome and Autism. We get wonderful results with these interventions. We will send your information to our Certified Learning Specialists. They will evaluate this information very carefully and then will send you further questionnaires and assessments to learn more about your child’s academic and health background and clarify email questions, as necessary. Your Certified Learning Specialist will send you a step-by-step Personalized Learning Plan and Targeted Nutritional Interventions. Detailed, illustrated information will be sent to you so that each step of the interventions for success can be easily followed. Your Certified Learning Specialist will then set up follow-up appointments with you to discuss the Plan and answer your questions. If you are interested in having a Personal Internet/Telephone Consultation, then just download and complete the above Assessments and send them to me by email to child.diagnosticscs@gmail.com and put “Personal Internet/Telephone Consultation” in the Subject Line. I will then send your information to our certified Learning Specialists who will send you further information on how to proceed.